The first tutorial covered Digg and Reddit, for this one insha’Allah we’ll take a closer look at StumbleUpon. 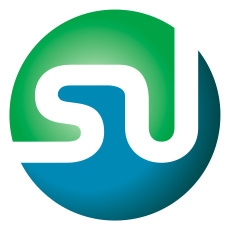 StumbleUpon is a very interesting (and addictive) tool of social media, and it is used by a lot of people (their website boasts over 6 million users). As far as MuslimMatters is concerned, the Digg effect has nothing on StumbleUpon in terms of driving traffic to the site, and I know other websites have mentioned similar (e.g. MR). So what exactly is StumbleUpon? Web pages are presented when the user clicks the “Stumble!” button on the browser’s toolbar. StumbleUpon chooses which Web page to display based on the user’s ratings of previous pages, ratings by his/her friends, and by the ratings of users with similar interests. Users can rate or choose not to rate any Web page with a thumbs up or thumbs down, and clicking the Stumble button resembles “channel-surfing” the Web. There is also one-click blogging built in as well. When you sign up for an account, you can also set your profile according to your interests. The thing I like about their interests is that it actually has a higher level of detail than most other places. You can not only select “Islam” as an interest, but you can further specify “Sunni” if you wish. On the flip side, you can even choose “Paganism” as an interest. If you’re a FOB (or European), you can even choose “cricket” as an interest. Once you are done setting up your interests, you are ready to start ‘stumbling’ through websites. You simply hit the ‘stumble’ button on your toolbar and it will take you to a random website based on the interests you selected. You can then give the website a thumbs up or a thumbs down. Obviously, the more a website gets popular ratings in that channel, the more times StumbleUpon will display that website to other stumblers. According to their wiki, they have had over 1 billion stumbles in 2008 alone. To get a feel for how this works, you can take their tour or try the demo. Similar to other social media sites, you can also create a network of your own friends and you can send them a stumble that shows on your toolbar. You have the option to add sites to a favorite’s list as well. This is particularly useful when you have a lot of friends, or fans (people who added you as a friend but you did not reciprocate) as they will “stumble” to sites that you have added to your favorites list. In the last article, we covered how pretty much anything can be sent to Digg, and that it checks for duplicates. The process is a lot different with Stumble. First, when you go to a website, there is an icon in your stumble toolbar that lets you know if anyone else has ‘reviewed’ this website, if they have, then you can simply give it a thumbs up or down when you are on it (even though you may not have arrived at that website through ‘stumbling’). Whether submitting a new site or simply giving a thumbs up, please make sure to add a review of the website. This is one easy way to help a site become more popular. Second, when you submit a website, you have the option of ‘tagging’ it much like you do with a blog post. This helps provide keywords for people searching for content. As an example, if you were to submit Yasir Qadhi’s Dorrito’s article to Stumble, some good ‘tags’ would be: islam, fiqh, dorrito’s, yasir qadhi, cheese. These tags are descriptive, and help identify the content for someone searching for something. Examples of bad tags would be things like: awesome, almaghrib, halal, jihad, gluttony. Third, you can’t just keep stumbling your own stuff. This one’s important so please pay attention. StumbleUpon recommends pages based on correlation and user clustering, rather than average ratings, so people rating their own sites as ‘I like it!’ cannot spam the database. Members who repeatedly post from a particular site (often their own) find that some of those posts fail to appear on their blog pages. We have a limit in place that prevents multiple posting from a single source. If you habitually post content from a small set of domains, you may have encountered this limit. You can verify this by thumbing a page from a site which you have not previously rated; if the rating fails only for the site which you have previously rated & reviewed, then it is likely that you have encountered the posting limit. Note that, once encountered, the limit cannot and will not be lifted. The only way around it is to purchase advertising. This is a huge difference from Digg, and it has its pro’s and con’s. The con is if you reached this limit without realizing it (like me). The pro is that it prevents a lot of watering down of content. As I mentioned in the Digg article, I personally don’t feel that it’s a good idea to just keep digging each and every article and trying to promote it (it becomes desensitizing after some time). However, it is something that Digg does allow for. StumbleUpon though is built to prevent this type of behavior. So if you’re going to Stumble something, you need to make sure it is solid. Additionally, you need to make sure you are stumbling a wide variety of things to be a “real contributor” to this online community. The obvious reason is the number of people using it. The other reason though, is that it is one of the few “mainstream” sites that has an Islam category built in. With the number of people using social media tools to get their information and find content based on their interests, it is essential to get representation of good Muslim websites in StumbleUpon. Similar to Digg, the stumble links are built into the top and bottom of each post. Stumbleupon can work wonders, if it catches on. The “A wife is a wife” photo got like thousands of hits too…. Based on recent articles, it seems ppl have started to get a hang of digg, etc… but we need to use this stuff more.. 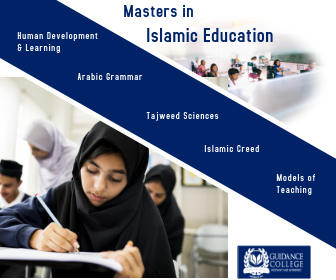 Towards a brighter Digg and SU future for Muslims!! Stumble Barakah and watch your Barakah Bank Account increase exponentially. I have been using StumbleUpon for a long time probably like more than a year. Here is something I would like to bring to everyone’s attention.. It seems the Kuffar has beaten us to the game.. choosing the tag Islam and just stumbling on it would most likely take you to websites that are totally deviant, or anti Islamic websites. But all is not lost.. I have stumbled on quite a few Islamic sites that are quite beneficial.. but I have noticed the tag “Islam” has been placed on mostly deviant and anti-Islamic websites. The problem with Muslims who tag relevant Islamic websites is that they don’t mostly post “a review” of the site. I would suggest that everyone who tags an Islamic website should at least write a line or two describing why the website is great.. or what does this webpage convey..
Also, if you give thumbs up to a website that has already been reviewed, please try to add your own review as well. In that way the site will become more and more popular. As the brother who posted that article pointed out.. MM can reach many many Muslims through StumbleUpon. Its a great social tool. Imagine if the Dr. Aafia Siddiqui article is given the thumbs up by 20 Muslims who wrote 20 reviews, inshAllah that webpage would reach like thousands of other Muslims who might not even know about MM or about Dr. Aafia. By the way.. just wondering is it ok if we can all share our username from StumbleUpon here in the comment section// so that we might be able to add one another?? By the way Br. ibnabeeomar. What’s so FOBish about tagging CRICKET!?!?!?! Cricket PWNS American Football, Basketball, Baseball and every other Sport out there. we play a lot of cricket here in the carib too…. I think you guys should have an internal rule that whoever makes an article should digg it, so that the rest of us only have to click the button and not have to add it. bismillah. ok ibnabeeomar, so what is the stumble limit? what was the number of stumbles into which you… er, stumbled? faisal – jazakallahu khayr for the tip, i have updated the post to include adding reviews. and if you ran into the limit on more than one site — how many stumbles recorded in your stumble-profile for each site, please? finally, do thumbs count towards the stumble cap as you understand it, or just submitting a new stumble-review? if thumbs count that would seem to cause a distortion of traffic to an active site that has existed a long time — that site would have to constantly appeal to new users in order to keep ahead of the eventual stumble-caps on loyal users. bismillah. 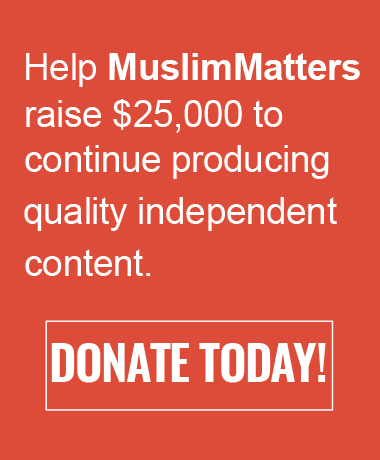 so after some thought — i think the single best page for all of us to stumble — since we cannot stumble every page because of the “cap” — is the home page, muslimmatters.org. if 20 different people submit 20 different stumble reviews of that page — then given that stumble is already such a good referrer, we should generate much more beneficial traffic. wAllaho’Alim. also i do not know if withdrawing a review helps reduce the cap-pressure, but that might be an additional strategy: review a particular MM page you like. then perhaps even before you reach the cap, withdraw your review, and review a different page you like. just an idea. btw i think the cap applies if you are ONLY stumbling pages from one site. so if you’re constantly stumbling good content from all over the place, inshallah you shouldn’t have a problem. but if you just keep stumbling MM articles only, then you will get capped.